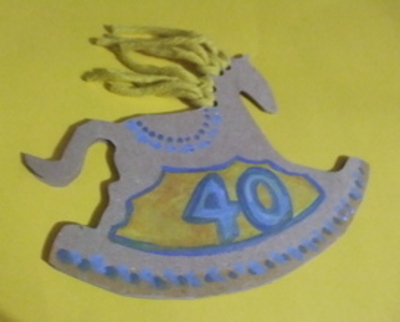 Make your own rocking horse birthday card. The cardboard card opens up and rocks! 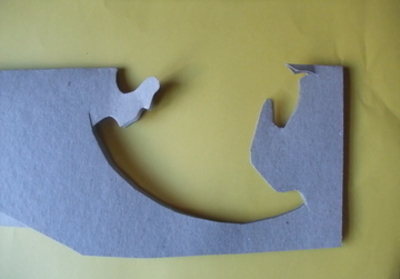 Fold your cardboard piece in half and sketch your horse making sure that parts of the horse mane and tail run along the fold. This is where the card will open up. 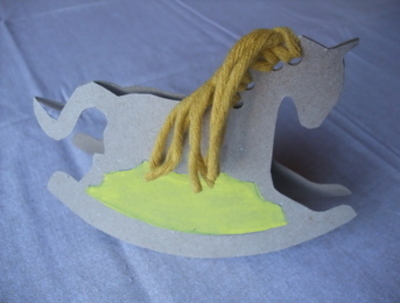 Hole punch along the horses mane. This takes a bit of practice! Weave wool through the holes to make horse mane. 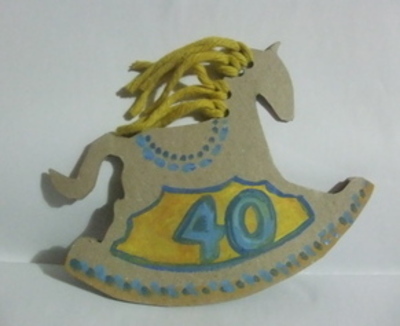 Paint in your rocking horse.